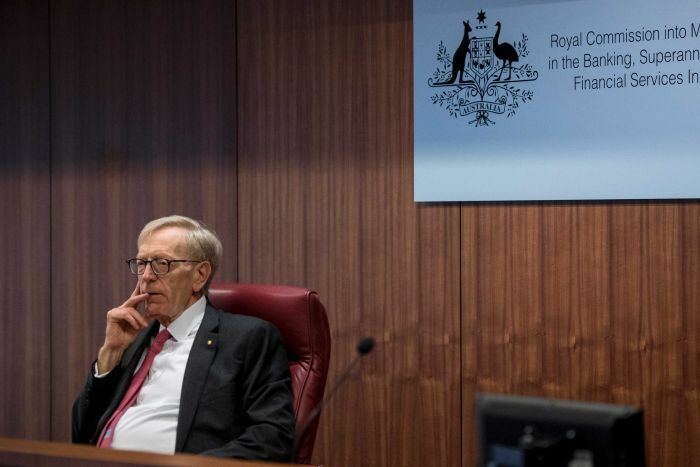 Given the extreme lack of resources and the extraordinary time constraints, the extent of the revelations unearthed by Mr Hayne’s Royal Commission into Misconduct in the Banking, Superannuation and Financial Services Industry has been nothing short of breathtaking. Even if the commissioner’s recommendations are implemented in full, permanent change will be more difficult to achieve. For it has always been difficult for any political edifice to withstand a concerted onslaught from the sheer weight of wealth. Theft. It’s such a harsh word. So emotive and with so many legal ramifications. For ordinary criminals, it holds the prospect of incarceration, personal ruin and a social stigma that can last generations. But in the world of banking and high finance, it’s become an all-encompassing philosophy over the past few decades, one not merely accepted but expected. To survive and prosper in the world of modern banking, it was necessary to embrace the system of bonuses and the all-consuming sales-driven incentive programs. In his interim report, the royal commissioner identified the root cause. “Too often, the answer seems to be greed — the pursuit of short-term profit at the expense of basic standards of honesty. How else is charging continuing advice fees to the dead to be explained?” the royal commissioner wrote. Early on in the hearings, the Big Four banks and AMP reluctantly admitted they had deliberately charged fees without any intention of delivering services. All up, they reckoned it amounted to around $220 million between them. Then came revelations that dead people were being fleeced, including paying for life insurance no less. Last September, AMP admitted to robbing 4,645 deceased Australians. 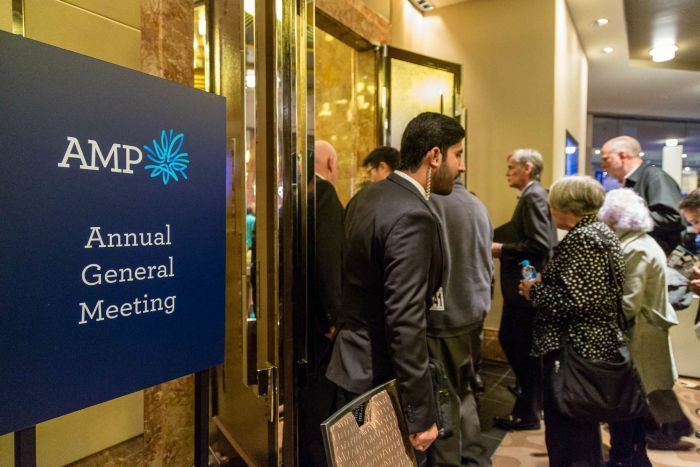 On Friday, AMP fessed up to an extra $200 million in compensation costs. All up, total remediation, now sits at around $750 million. That’s for AMP alone. Add in the ancillary costs, and the company is on the rack for around $1.5 billion. Broking analysts now see a potential remediation bill of up to $6 billion across the industry. Little wonder the industry used every ounce of its political muscle to fight against a royal commission. Rather than an excuse, it’s a pretty accurate explanation of exactly what’s happened. For a couple of bad apples really can spoil the entire load, as ethylene gas causes apples to ripen and then mould. What Mr Hayne has exposed is not something peculiarly Australian. It’s global. Arguably, it has been worse in the US and across Europe, at least in scale. It now is clear that in recent decades, globally we have witnessed one of the greatest redistributions of wealth of any period in human history. It’s as if Robin Hood switched sides. Vast amounts of wealth have been hoovered up from the general populace, a significant portion of it illegally. Much of it was fed into the extravagant bonus payments of executives, with the rest showered back to investors in the form of dividends. The bonus systems, the incentive payments were extended way down the line; a system designed to keep employees focussed on extracting as much cash as possible. Perversely, given our compulsory superannuation system and its over-reliance on domestic shares, even those being gouged ended up getting a tiny rake-off; via dividends into super funds. You’d have to be naive to think so. Slowed maybe. But here are some of the measures the royal commissioner is likely to recommend to pull our financial system into line. Criminal charges. At various key points in the public hearings, the C word was raised, to the horror of those in the stand. The end of trailing commissions and an overhaul of bonus payments and asset fees. Financial planners and mortgage brokers will be forced to put client interests first when selling superannuation, insurance and mortgage products; an alien concept to some. Proper expenditure tests for borrowers. Banks and lenders no longer will be allowed to offer lines of credit to those who cannot afford the repayments. An overhaul of the regulators. The abject failure of our regulators, particularly the Australian Securities and Investments Commission and the Australian Prudential Regulatory Authority, to pursue criminal activity and enforce the law was repeatedly highlighted. Expect new powers and greater penalties. Will our banks take it lying down? The golden era in Australian banking is coming to an end, at least from an investor viewpoint, for the royal commission’s recommendations can result in only one thing: reduced earnings. That means lower share prices and curtailed dividends. AMP slashed its dividend by 70 per cent on Friday. What many fail to understand is that if the Hayne royal commission improves the system’s integrity, ultimately that will improve its resilience and put it on a more sustainable footing. The irresponsible lending practices of our major banks — which have around 60 per cent of their total loans invested in Australian real estate — have pushed our property prices to astronomical levels and elevated Australian household debt to world record levels. It’s created a dangerous bubble with a negative feedback loop and laid the foundation for a potentially catastrophic domestic financial crisis. The question is, how long will our political system be able to withstand the relentless lobbying from a rich and powerful sector to wind back any restrictions on profiteering? A decade ago, modern banking brought the global economy to its knees. The American public demanded greater oversight and a tight leash. The answer was the Dodd Frank legislation. In May last year, President Donald Trump, with the help of some Democrats, rolled back many of those restrictions. Money has a wonderful way of dulling the memory.